The project: a Dojo in each Romanian school! "Aikido for everybody" shows my memories and opinions about the Martial Art I loved and studied for decades. 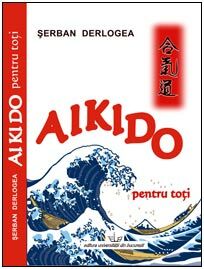 This book is a continuation of the Aikido textbook published 17 years ago (written together with Prof. Dan C. Ionescu). The ideas of the book are presented in a straightforward manner without stylistic fancies, as a reaction to the perennial problems of society. Many inspirational stories from our and the oriental folklore are animating the sometime technical - but never boring text. This book presents a vision of Aikido different from that predominant in our Dojos. It focuses on Budo ethics and pragmatically develops the problem of moral education, a subject rarely addressed by the available books on Aikido. It is aiming to improve relations in our society (using team building concepts), to teach self-criticism and constructive criticism abilities, to clarify the moral conduct – using teachings of great MA masters (especially the creator of Aikido, O Sensei Morihei Ueshiba). I did not try to delight the reader by disclosing the "secrets" of invincibility, youth without old age or other fantasy clichés often associated with Eastern practices. Instead, I propose idealistic but pragmatic aims, such as using MA for modeling the character of youngsters so they become better citizens. Readers will find ideas about multilateral self-defense – in order to survive in an increasingly violent world, or about solving social problems through physical education - in an increasingly physically degenerated world, or maybe a path toward spiritual enlightenment - in a world increasingly enslaved to money. The book proposes the renovation of our current educational system by substantially increasing the importance of physical education in all school programs, through the use of Aikido. 2. Why is mankind so? 2.6. Mankind – where to? 4.1. Why should everybody train? 4.4. Is whacking "a gift from Heaven"? 5.9. Why (should we all) do Aikido? IV: Aikido WHERE FROM AND WHERE TO? 14. And now, what next? Some excerpts from the book Aikido for everybody may be read in the following pages of this section of the site.